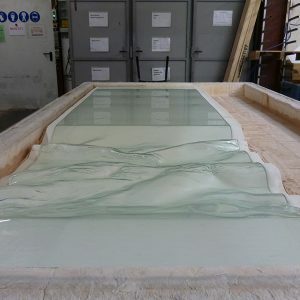 Primarily for this process clear glass is used. 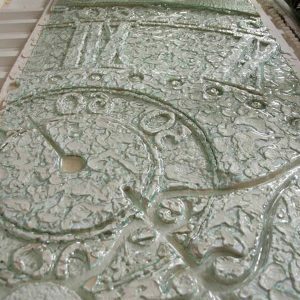 The glass is fired in the kiln with very high temperatures, placed over fireproof moulds. 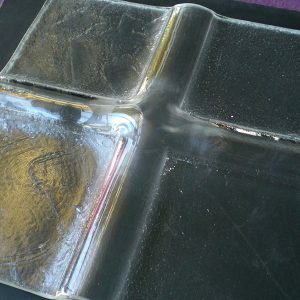 The glass will attach itself to format of these moulds, which can be a bended or sculptured form. Corresponding glass of different consistence (i.e., sticks, frits, powder, etc.) 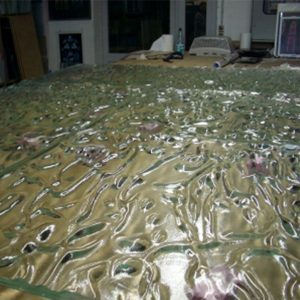 and different colours will be melt during firing in the kiln with high temperatures. Very delicate mouldings are also possible.